I wanted to switch Linux distro, and had settled on either Manjaro or FreeBSD as my OS of choice, and had finally got around to starting switching seriously rather than just playing with VMs under Kubuntu. So I stuck a USB stick with FreeBSD on it into the Novatech laptop (around 6 years old), switched on and crossed my fingers. Have second machine handy with the Handbook open on it. Have a second machine handy with a guide to vi on it. As root set up X (BEWARE – you NEED to read the Handbook to pick up a couple of vital setup steps, using our old friend vi). 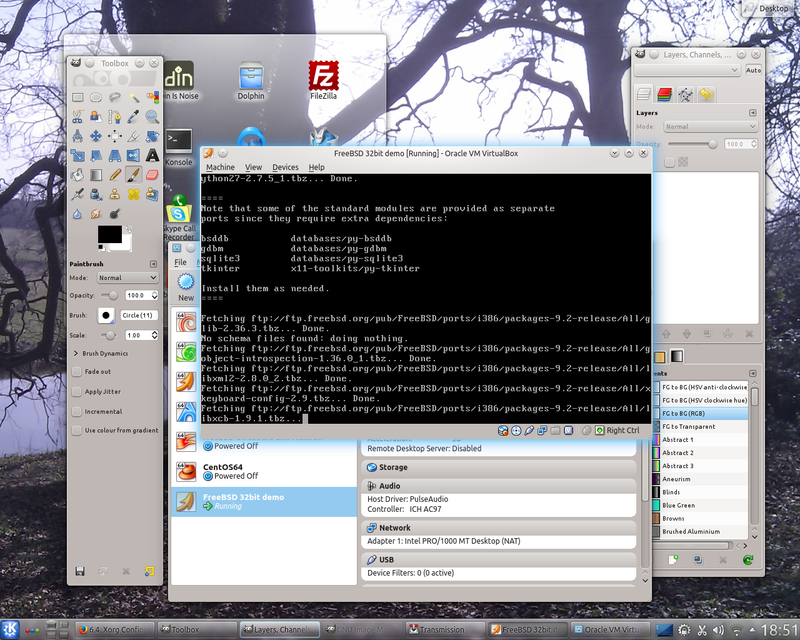 Install your desktop environment/window manager. I really like awesome but settled on XFCE as a nice balance of lightness and configurability without some of the headscratchiness of awesome or similar. Install your global software as root – I just stuck to Firefox and LibreOffice using pkg_add -r.
#pw user mod username -G wheel and then you can add software to your heart’s content. Overall, a slightly tense switch from Linux, as you start with a tabula rasa, but this is the beauty of a switch to BSD – YOU choose what YOU want from the off. I’m really looking forward to getting this “just so”.